It's no secret that Democrats need the American economy to stay strong until Election Day 2016. 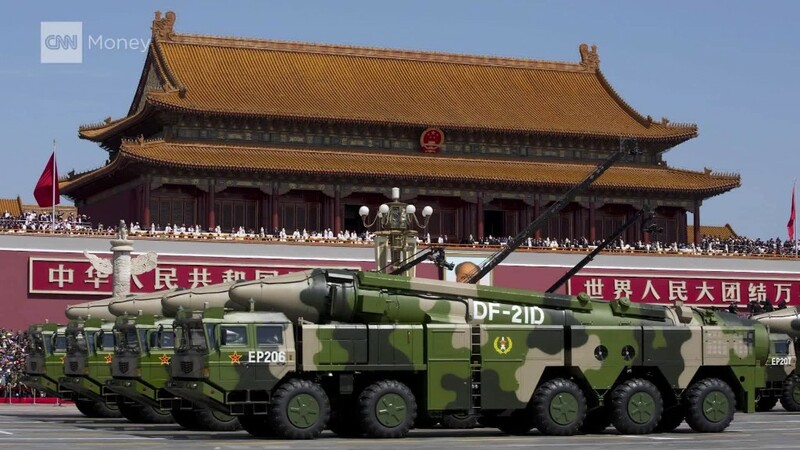 Right now the biggest threat to that is China. No one knows exactly how much China's economy is slowing down. But there's wide agreement that the country isn't growing at 7% like the government says. China's hiccups are being felt around the world. They've already sent Canada and Brazil into recession and caused the U.S. stock market to plunge dramatically at the end of August. There are fears the world economy could get worse in the coming months and hurt the U.S. -- just around the time Americans really start to tune in to the presidential election. "Neither Clinton nor Biden can escape the Obama economy," says Larry Sabato, director of the University of Virginia Center for Politics. "They will either pick the fruits or bear the burden." 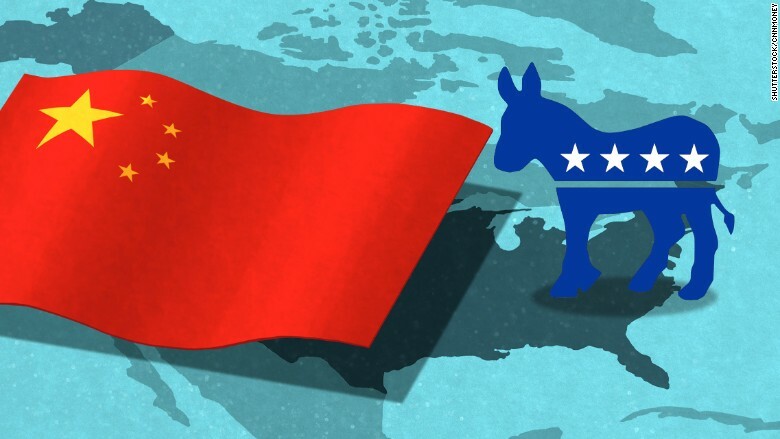 China is thwarting Democrats' economic message. This should have been a glory moment for Democrats. They should be bragging about how President Obama & team -- including Hillary Clinton and Joe Biden -- brought America back from the worst recession since the Great Depression era. Most countries are looking enviously at the U.S. right now. It's growing at a healthy 2.3%. Last year was the best year of job growth since 1999. The dollar is strong, gas is cheap and even the auto sector is bouncing back. "This is not the worst record to run on," says hedge fund billionaire Jim Chanos, who has pledged his support for Joe Biden. But hardly anyone is talking about the Obama economy's triumphs. Instead, the conversation now is dominated by China, the stock market and a growing sense of worry. The International Monetary Fund just warned it expects weaker growth. There's a general sense on both Wall Street and Main Street that although America is doing all right now, the rest of the world could pull the U.S. down. "A day like [Tuesday] or last week when the Dow was down by 1,000 points causes some people to worry that the economy will begin to soften. That's a natural fear," says Greg Valliere, chief political strategist at Potomac Research. September is unlikely to be much kinder for Democrats when it comes to the economy. The Federal Reserve meets September 16 and 17. America's central bank now isn't sure that the economy is strong enough to handle raising interest rates for the first time in about a decade. Whatever the Fed decides, it's likely to cause more stock market swings. And if the central bank doesn't raise rates, there will be even more concerns about cracks in the Obama economy. On top of that, Chinese president Xi Jinping is coming to meet with President Obama in a big summit. The global economy will almost certainly be a key discussion point. Pope Francis is visiting as well. He is widely expected to criticize major inequality problems in America. As if China and the stock market aren't concerning enough, the majority of Americans now believe their kids will not be better off than their parents. "This is the first generation for which the American Dream -- work hard, work for the same company for 40 years, get a good pension -- is going away," says Steve Schale, a Democratic strategist who is part of the Draft Biden camp. "It's a really unsettling era." Of course, there's still a long way to go until Election Day. A lot can change for China, the U.S. and the rest of the world. But right now, Democrats face an increasingly challenging messaging problem on the economy.